John Bates’ "Why" is to bring out what is awesome inside of you, so it can live in the world and make a real difference. After getting his start by absolutely blowing his first talk on the TED stage, John has gone on to train hundreds of TED/TEDx speakers in countries from the US to Yemen in what he learned, the hard way. He also works with C-level executives at top global corporations to make their communications "TED-Worthy." Executives from organizations like Johnson ... See More & Johnson, NASA (where he most recently trained the Astronauts), Boston Scientific and more recommend him to their colleagues as the best, and most fun, leadership communication trainer working today. John founded the website www.executivespeakingsuccess.com and offers training based in human evolutionary biology and human neurophysiology so you learn not only what works, but WHY it works; principles you can apply to your own unique style which will allow you to connect, inspire and elevate at will. John brings the power of TED-Worthy communication, powerful executive presence, storytelling and Jedi-like persuasion skills to top executive teams, sales teams, entrepreneurs, scientists, engineers and anyone on the light side of the Force who wants to have a lasting, memorable impact and reliably cause people to take action. 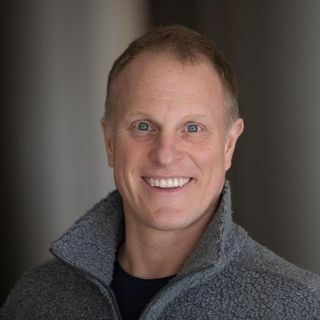 John’s articles for Inc.com, including “How Crashing and Burning on the TED Stage Changed My Life” can be found here: www.inc.com/author/john-bates, and his book TED-Worthy Leader, Connect, Inspire, Elevate is due out in 2018.